Robotic brickwork combines a well-established building material with new digital design processes and robotic fabrication techniques. While departing from a traditional and labour-intensive manufacturing processes it allows non-standard assembly to become reality. Architectural design increasingly takes advantage of advanced digital design tools. Here, robotic systems present an ideal link to actual construction. Not only can their use lead to significant timesaving, but their ability to precisely transfer computational design data directly to real-world manufacturing operations enables the fully automated construction of non-standard building structures. In particular, their use opens up entirely new possibilities for future brickwork that is not limited by the same constraints – such as, for example, standardised assembly routines – as manual assembly processes. Since, the brickwork is robotically constructed, the flexibility of individual fabrication is combined with the advantages of additive mass production. BrickDesign is a comprehensive approach to the design and robotic fabrication of brick facade elements. Keller Systeme AG uses BrickDesign as an integrated plannig tool from design to fabrication for their robotically assembled ROBmade facade system. 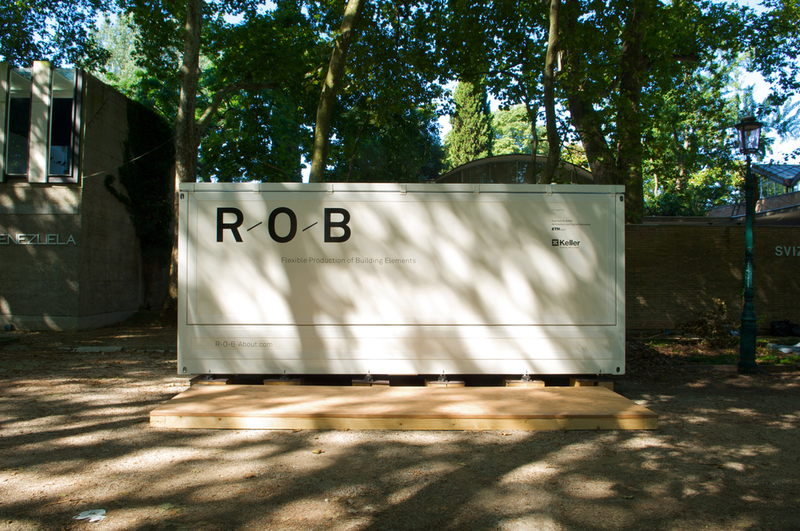 Housed in a modified freight container, the ROB mobile fabrication unit can be used anywhere in the world. The ROB mobile fabrication unit combines the advantages of prefabrication – precision and consistent high quality – with the advantages of short transport routes and just-in-time production on the building site. Furthermore, the mobile fabrication unit is not restricted to a predefined manufacturing process or a particular building material. Making use of computer methodologies in the design and fabrication process allows for manufacturing building elements with highly specific forms, which could not be built manually. 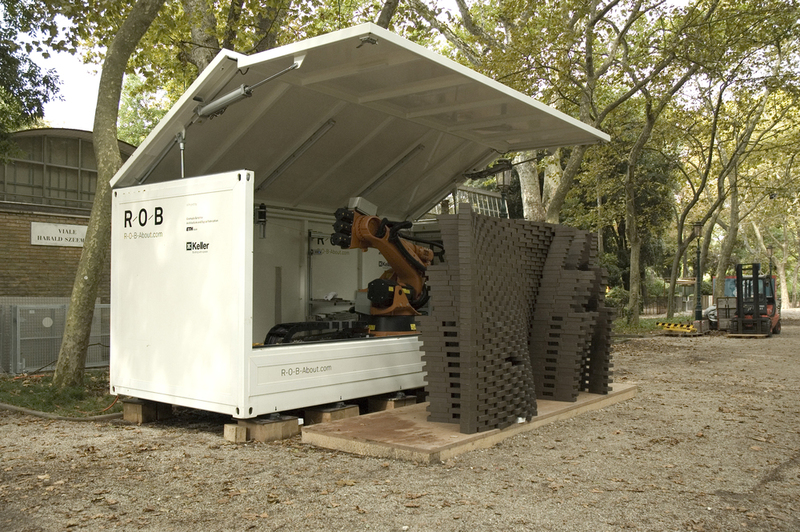 ROB Unit was already in the field, e.g., at the Venice Biennale (pictures below) and fabricated an installation from local bricks in New York. Contact us, if you have questions regarding the possibilities of robotically assembled brickwork or the potentials of our software BrickDesign. Maybe you already have a concrete project in mind.